Suzuki, best known among the offroader community for their small-yet-capable Vitara, and a company popularized decades ago by the Samurai rollover controversy, is celebrating its centenary this October, having been in business for 100 years. Back in 1909, Michio Suzuki founded the Suzuki Loom Company in Hamamatsu, Southern Japan and it was while manufacturing looms for production of plain white fabric he learned that weavers wanted looms that could produce cloth with vertical and horizontal stripes. So he developed a unique loom capable of weaving patterned cloth from dyed yarn. Suzuki’s new innovation represented the start of an uncompromising focus on creating products that meet people’s needs and realize new lifestyle possibilities. 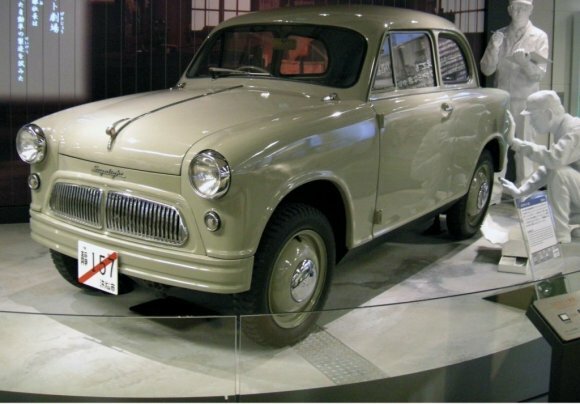 Suzuki car production began in 1955 with the Suzulight, a compact car with a 360 cc two-stroke engine. The Suzulight was one of the first cars to feature front-wheel drive, four-wheel independent suspension and rack and pinion steering. Their SUV line-up started life as the 21 hp 360 cc HopeStar ON360, a vehicle originally developed by the Hope Motor Company of Japan in 1965. 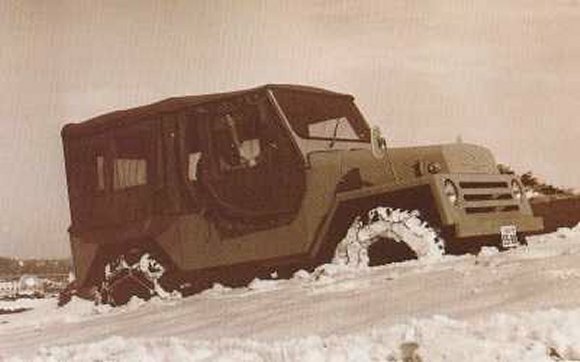 It was a basic vehicle with no doors, but a sturdy four wheel drive system allowed it to go anywhere. The tiny Hope was unable to sell many of these vehicles and sold the design to Suzuki in 1968 and relaunched in 1970 as the LJ series. 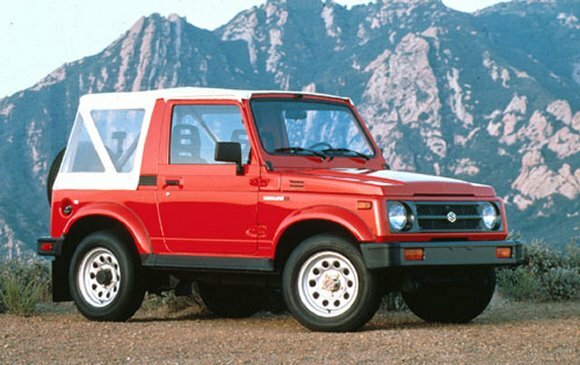 That 4×4 continued into modern times as the Suzuki Samurai, introduced in the United States sometime in 1985. 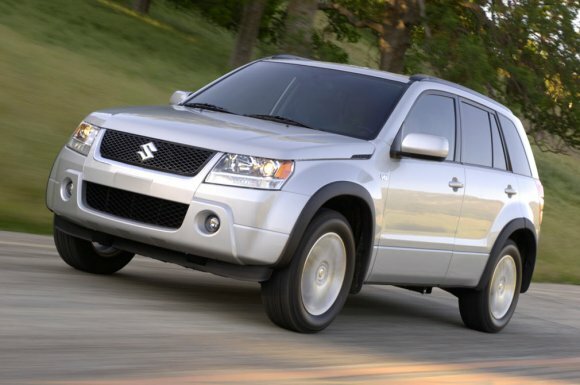 It gained notoriety due to Consumer Reports’ flawed testing methods that led to a rollover in a test, leading to years of lawsuits and counter-lawsuits, and killed the market for the Samurai in America. The Samurai continues to live in foreign markets as the Suzuki Jimny. Another popular compact SUV is the modern-for-its-time Suzuki Vitara, which has survived since 1989 and continues to this day in its updated Grand Vitara form. It continues to offer 4WD capability with low-range gearing. 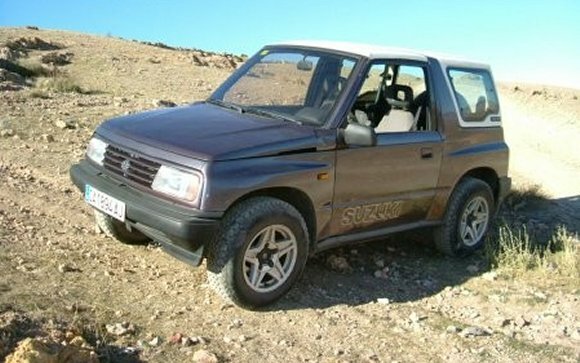 A stretched version of the Vitara became the seven-seater Suzuki XL-7 in 2001, replaced by the all-new XL7 crossover in 2007. In March 2009, the seventh generation Alto was launched; named after the car with which Suzuki has dominated the mini vehicle segment in Japan for 30 years, the Alto is the smallest of Suzuki’s world models and reflects a focus on eco-friendliness with a combined fuel consumption of 64.2 mpg. Alto is built near Delhi, India, a continent where Suzuki has a 50% share of the passenger car market. 2009 is also an important milestone for Alto as 10 million have been sold globally since 1979. Indian car production began in 1973 with the Maruti 800; a low cost family car that brought mobility to millions. Looking to the future; Suzuki plan to concentrate strongly on lowering emissions even further and presented Stop/Start concepts as well as a new variable valve timing system at the Geneva Motor show. To celebrate 100 years of innovation, Suzuki is showcasing its history and manufacturing prowess at Suzuki Plaza, a three-storey heritage center in front of its headquarters in Japan.